Emanuel Bova is competing this year in the Australian team that is going to Greece in the next few weeks. Get behind the Aussie team here! 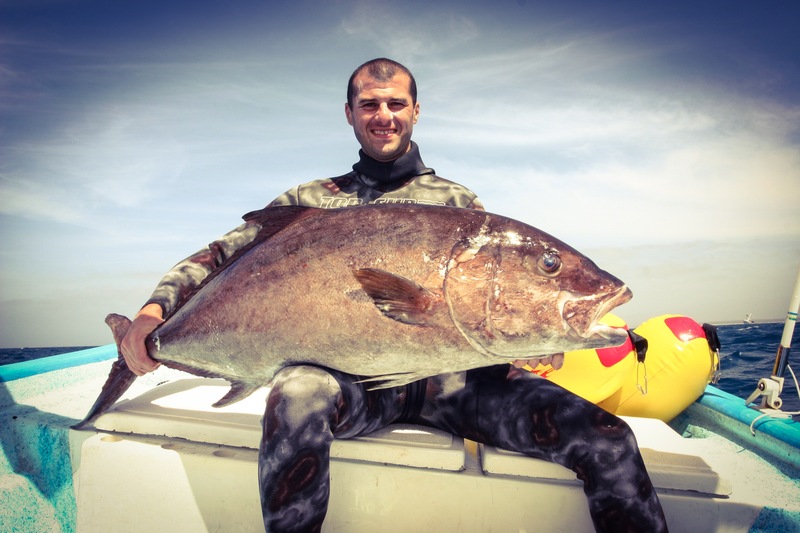 Manny grew up in Genoa, Italy, and started spearfishing way back in 1984. In 1988 he moved to Sydney, Australia where he continued spearfishing and we chat about the contrast in conditions and difference in biodiversity. With a passion for spearfishing and innovation it was inevitable that he would begin a spearfishing business in Australia. Initially he started importing equipment from Europe, first with Omer (1993-98), then with TopSub wetsuits (1998-2009), and then in 2010 he launched his own brand MannySub with the roller speargun conversion kit. Manny was the first to produce a roller muzzle and also introduce the roller concept to many countries such as Australia, South Africa , the Middle East, USA and several other countries. His Roller Speargun conversion kits continue to be highly popular alongside MannySubs range of spearfishing equipment. Alongside his spearfishing business Emanuel Bova has been an active member of the San Souci Dolphins Spearfishing club in Sydney since 1994. He has been competing for over 22 years both locally and abroad. 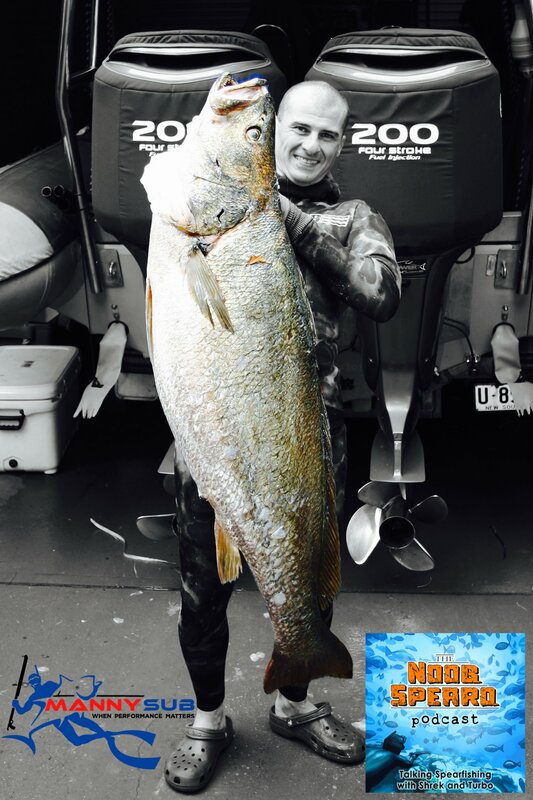 This year he joins the Australian Spearfishing team again as they head to Greece to take on the worlds best. You can follow the Australian teams adventure here. Part of the appeal of Manny’s interview is hearing stories from a bloke who has dived in Italy, France , Croatia, Mexico several times (the Gulf, Caribbean, Sea of Cortez), Panama, New Zealand, Fiji, USA, Hawaii, and both the eastern and western coastlines of Australia as well as the coral sea. This interview is our longest yet but its for good reason. Manny takes us on an equipment deep dive in his Veterans Vault where we talk in detail about; Flopper maintenance, Speargun Rubber, Dyneema vs Mono-filament as a shooting line, equipment maintenance and then we dig into Roller Spearguns with questions from us about inverted rollers and the double roller, both of which are rapidly growing in popularity with Bluewater Hunters. As Manny is a regular listener of the show he fires on all cylinders sharing stories that all of us can learn from and his Fast 5 Facts For Noobs is phenomenal. Listen into an absolute cracker interview. 01:20 Manny’s history covering Omer and TopSub spearfishing equipment, competing in Croatia with the Australian Team, early lessons, the beginning of MannySub, moving to Sydney and the contrast between Italian Mediterranean spearfishing conditions and Australian spearfishing conditions. 14:00 Yellowfin Tuna Coral Sea on the burley trail. Great takeaway lesson on observation from this story. 19:00 Heading out the day before a big competition when an opportunity that does not come to many Australian spearo’s presented itself. 23:00 Spearfishing Hunting Technique – burley with newspaper or even toilet paper. Great rundown on how effective this technique can be. Best burley for using in shark infested water. Can use in combination with a flasher. Boat pulling free from anchor overnight while miles out to sea. Fiji deep diving injury – the Bends while freediving. Manny lays out his process of deduction alongside symptoms. Supporting article with more information about the bends while freediving here. Manny talks about his journey to recovery along with the advice and medical help he received along the way. Reef shark near miss. Beware of hazards when you are a long way from home. Takeaways include the advice to be very careful spearfishing around dusk with sharks. Speargun shooting line. Dyneema vs Mono-filament – Manny is a Dyneema evangelist and lays out how to set your gear up with it. Speargun Rubber. How often do you change rubber? Manny gives us a rundown on types of rubber and how colour is no guarantee of quality or brand. Overview of Progressive vs Reactive rubber. Penetration testing equipment in the swimming pool with various rubber and shaft sizes. Manny talks about he sets his pool up for testing including foam and protection for the pool. Roller Spearguns. Bearings vs Caster Roller Muzzles. Chris Coates research concurs, read about it here. Inverted Roller vs Double Roller – what are they and what are the characteristics. Mannysub Inverted Roller. Turbos Video for roller muzzle conversion here. We also get some clues about the balance between pre-tension, shaft and rubber diameter. 84:30: Whats in Manny’s Divebag. Speargun MannySub 90cm and 1100cm inverted for clean water chasing bigger fish. Salvimar Noah mask, DiveR fins, custom made smoothskin wetsuit. Special round rubberized dive weights (look like a hand grenade). You can screw them on and off as needed. Dont try and learn too fast. Respect the learning curve. Reels, not on big fish and not in deep water. Statistically Reel guns have been involved in lots of shallow water blackout incidents. Prepare properly on the surface. Close your eyes, focus on your breathing and replicate the feeling of going to sleep. Join Manny on Facebook or check out rollerspearguns.com for more information about him. 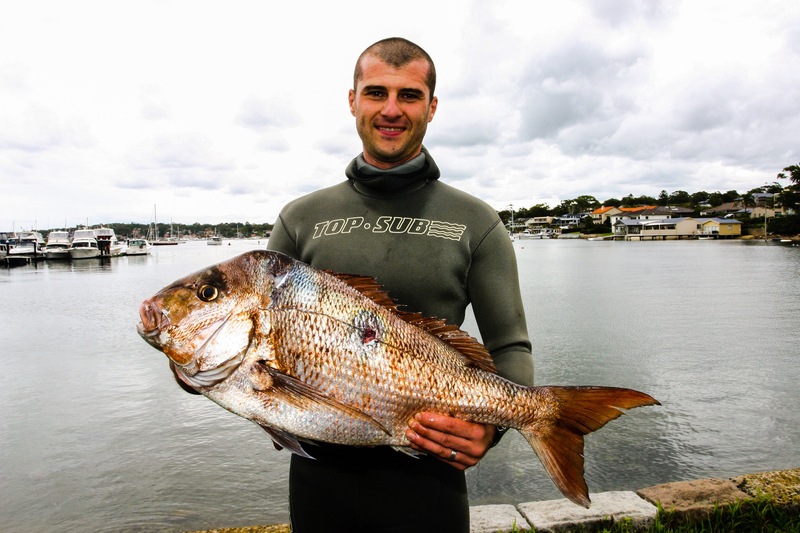 Manny also operates a spearfishing charter in NSW, Australia. Check that out here.